I wish I were someone who was organised and neat, someone who excelled at making organised and neat lists, and then methodically ticking off each item on completion. But that will never be me. And that is why, despite my best efforts, I found myself in Newcastle on a rainy Northumberland Street on 22nd December trying to decide whether I should spend £15 on a jar of pork scratchings, or just scratch my own eyes out and be done with it. 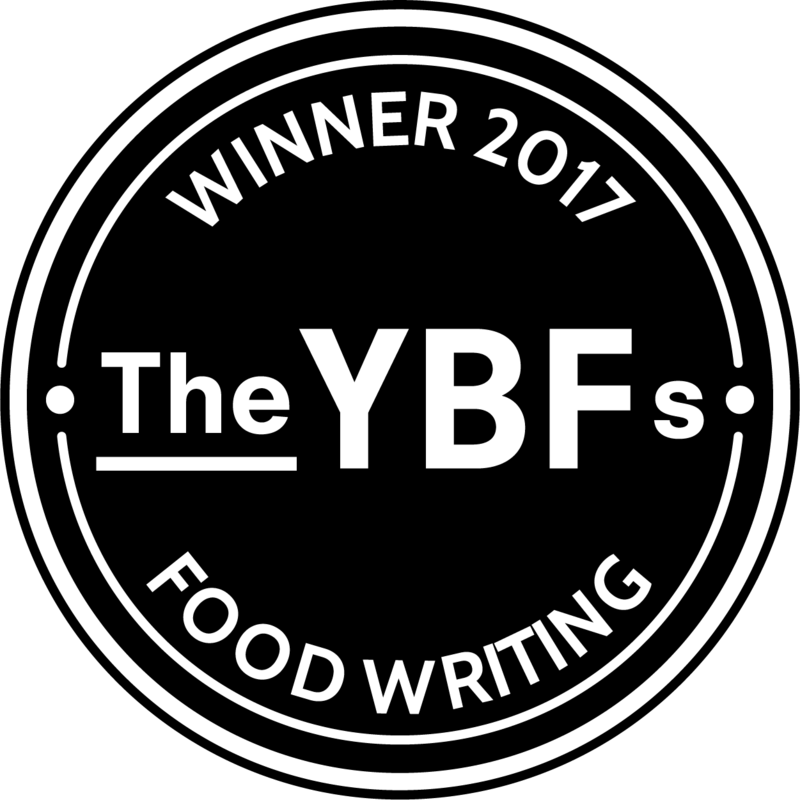 I then queued for 35 minutes, gritting my teeth, bookended by, on one side, the (incomprehensibly but seemingly happy) father and daughter in front of me, battling with batons of wrapping paper, held topically aloft like light sabres, and behind me a woman who smashed so many baubles during our time together, I can only assume she was juggling them. It is the sort of Christmas scape that would be humorous if you weren’t locked inside it, so invested in your place in the queue, the time you have already ploughed into this dystopian shopping experience, that you’d give up your first born before you’d leave. By the time I had reached the checkouts, and paid the premium for daring to shop in the month in which Christmas falls, I was so emotionally wrung out that I accidentally spent £13 on cheese. An answer that allows you to leave things until the last minute, that dreaded-Christmas-Eve-last-minute. An answer which doesn’t require you to brave the high street, queue in department stores, or fake a smile every time a faux-light sabre knocks you in the face, and, thank God, doesn’t involve being organised or neat or making a list (let alone checking it twice). And yet, it will present you to the world as if you are, in fact, all of these things: the sort of competent woman who handmakes her Christmas presents, wraps them beautifully, and would never take out her frustration on a large piece of Epoisses. It is also that holy grail of Christmas presents: something truly last minute, that people actually want to receive. Also, you can get all the ingredients from a small supermarket, or if you’re lucky, already may even have at home. 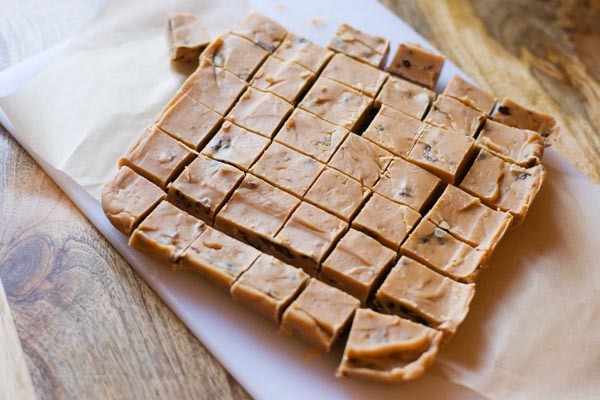 The key to great fudge is beating it really well: it’s only beaten properly when it’s at a point where it’s too thick too beat anymore. Up until that point: keep beating. 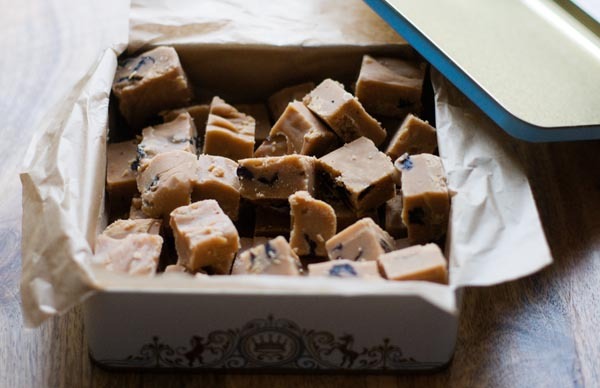 It’s possible to make this fudge perfectly well without a sugar thermometer, just have a glass of water sitting next to your hob, and drop a small drop of fudge into it when you think you’ve reached temperature: if it’s ready, it should form into a small firm ball, that you can squash between your thumb and forefinger if you press hard. Don’t panic if you end up with very slightly caramelised bits whilst you’re scraping the bottom of the pan. I have previously declared whole batches of fudge a dud on this basis, only to miserably beat them and let them set, and realise they are completely delicious. Sure, if you don’t scrape the base of the pan, and the fudge burns, and is then mixed through the rest of the mixture, it will be acrid and unpleasant, but you are likely a long way from that. (If you or your loved ones aren’t fudge fans, first of all, I’ll fight you, but secondly, I’ll offer up this old post on chocolate almond brittle, which is like grown up Daim bar chunks, terribly handsome, and the only thing on my sister’s Christmas list yet ). 1. Line a 20 cm by 2cm square tin with a single strip of baking parchment that overhangs the pan, effectively giving you handles. 2. Place the butter and sugar into a large non-stick saucepan, and melt over a low heat until the sugar dissolves. Add the condensed milk and milk and stir to combine. 3. Bring gently to the boil, keeping the heat low, and simmer for 10-15 minutes. You need to stir throughout this, really scraping the bottom of the pan to stop the fudge sticking (a plastic spatula is best for this if you have one). Obviously be extremely careful from this point on as the mixture is ridiculously hot. 5. When it reaches this point, remove from the heat. Allow to stand for five to ten minutes. 6. First of all mix in the ground ginger. Now begin beating the fudge with a wooden spoon or spatula. Be careful as at this point it will still be a loose mixture. As you beat, the mixture will loose its gloss and start to look more matte, thickening up as you go. When this begins to happen, add in the chopped stem ginger and dried cherries. Mix through the mixture and then continue beating the fudge until it is really very thick, and quite difficult to stir. 7. Spoon the mixture into your lined pan and allow to set until really very firm, and completely cool. Cut into big chunky squares. I selflessly parcel these up in cellophane bags and gold ribbon and distribute to those I love most over Christmas. They’re the perfect gift, they can be knocked up in 20 minutes, everyone loves them, and you don’t even have to brave the shops. And they look pretty handsome wrapped in baking parchment envelopes if you don’t have cellophane bags. I less selflessly keep the scraps and crumbs, and sprinkle them over ice cream.